The latest Cars short, Time Travel Mater, premieres June 16 on ABC during a broadcast of Cars and at the Disneyland Resort in Blue Sky Cellar at Disney California Adventure park on June 15. Tons of Disney and Pixar news today so let’s get to it. First up, Disney has announced that Mandy Moore will voice the title role in the upcoming 2D-animated film “Rapunzel,” while Zachary Levi, star of NBC’s Chuck, will play the role of a bandit who takes Rapunzel on an adventure. So we can now assume that Rapunzel being stuck in the tower will merely serve as the intro to the film, with the story following her on her adventures as she discovers what she’s been missing. Next up is Pixar’s Toy Story 3 news. While speaking at a Disney presentation in London, John Lasseter announced that Timothy Dalton and will play the role of a toy porcupine called Mr. Pricklepants. A clip of the film was show as the presentation which reveals some plot points. Empire Magazine describes the clip: Clearly the toys end up being sent to a daycare centre, where they are horribly abused by the little kids – and after that itâ€™s time for a break-out attempt to find a safe haven, and hopefully a new owner, in a cruel world. 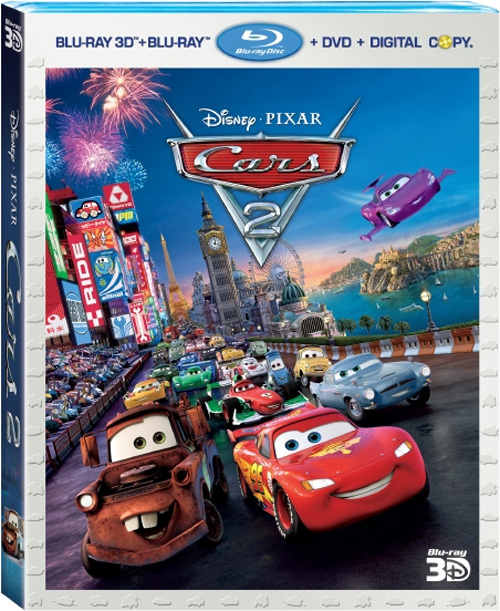 Pixar also revealed the plot for Cars 2. The lead characters are Lightning McQueen and Mater, with a new car thrown into the mix, an Aston Martin named Finn McMissile. 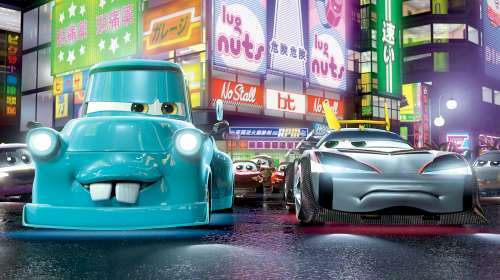 According to Empire, Mater is caught up in a case of mistaken identity and becomes embroiled in a huge spy thriller, though nobody believes him. Let’s move on to Pixar’s other project, The Bear and the Bow (now known as Brave). Pixar announced that Julie Walters is joining the cast an evil witch, antagonizing the 10th century Scottish royal family, voiced by Reese Witherspoon, Emma Thompson and Billy Connolly. The movie will focus on the mother-daughter relationship between Merida (Witherspoon) and her mother, the Queen (Thompson). Lastly is Disneyâ€™s upcoming Winnie the Pooh feature film. It was revealed that the film will mimic the watercolor style of the books and will combine five unfilmed stories as its plot. Via the fine folks at /Film. 2-D computer versions of â€œTokyo Materâ€ will also be available for theaters showing â€œBoltâ€ in 2-D.
What happens when the last remaining male and female blue-footed newts on the planet are forced together by science to save the species, and they canâ€™t stand each other? Thatâ€™s the problem facing Newt and Brooke, heroes of “newt,” the Pixar film by seven-time Academy Award winner for sound Gary Rydstrom, and director of Pixarâ€™s Oscar-nominated short, “Lifted.” Newt and Brooke embark on a perilous, unpredictable adventure and discover that finding a mate never goes as planned, even when you only have one choice. Love, it turns out, is not a science. A rugged and mythic Scotland is the setting for Pixarâ€™s action-adventure “The Bear and the Bow.” The impetuous, tangle-haired Merida, though a daughter of royalty, would prefer to make her mark as a great archer. A clash of wills with her mother compels Merida to make a reckless choice, which unleashes unintended peril on her fatherâ€™s kingdom and her motherâ€™s life. Merida struggles with the unpredictable forces of nature, magic and a dark, ancient curse to set things right. Director Brenda Chapman (“The Prince of Egypt,” “The Lion King”) and the storytelling wizards of Pixar conjure humor, fantasy and excitement in this rich Highland tale. Itâ€™s voice talent is as follows: Reese Witherspoon, Billy Connolly, Emma Thompson. Disney has announced their animation schedule for the next 5 years and it includes TWO new Pixar movies for 2011. The others (Wall-E, Up, Toy Story 3, Cars 2) we already knew about.